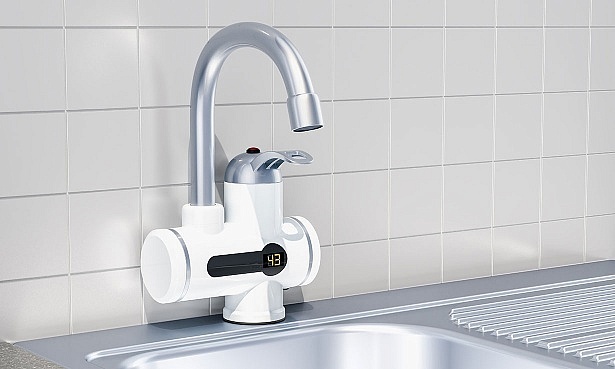 Instant hot water taps dispense boiling water at the touch of a button, and are billed as a convenient and energy-efficient alternative to a kettle. But are they really worth the investment? If you hate waiting around for your kettle to boil, or want a more streamlined look in your kitchen, then installing an instant boiling water tap could be the answer. But beware manufacturers’ promises of energy savings – we’ve found the cost of buying and maintaining a boiling water tap outstrips any potential savings on your energy bill. That doesn’t mean an instant hot water tap isn’t right for you, but it’s worth being aware of the ongoing costs before you invest, as expensive replacement filters and maintenance costs can add up over time. Even without these ongoing costs, our analysis shows that a hot water tap could cost you more than twenty times as much as a Best Buy kettle, despite using less energy, based on one year’s use alone. Planning a kitchen re-design? See our full kitchen planning guide for tips and advice, and discover the best and worst kitchen brands. What are the benefits of instant hot water taps? Costs aside, there are benefits to ditching your kettle in favour of a plumbed-in solution. Efficiency – get instant access to the exact amount of hot water you need, so you don’t waste electricity or water, or have to wait around for a kettle to boil. Convenience – handy if you find carrying a filled kettle cumbersome, and allows you to reclaim space on your kitchen worktops. Safety – taps are usually insulated and have child locks to help avoid contact with potentially hot surfaces. Taste – many taps can filter your water too, handy for removing impurities – particularly if you live in a hard water area. You can also buy combination taps which dispense hot, cold, boiling and even sparkling water from the same tap – replacing your standard taps with an all-in-one solution. For more on the different types of hot water tap, what the different brands, such as Quooker offer, and a guide to costs, see our full boiling water tap buying guide. How can a hot water tap save money? The main efficiency is in only using the amount of water you need, so no more guestimating with the kettle, or boiling more than you need if your kettle doesn’t have the ability to boil just one cup at a time. With a hot water tap, you can dispense your water directly into your mug or pan, so no electricity or water is wasted. 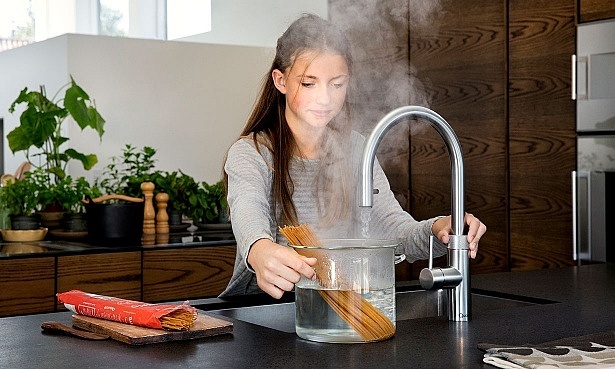 Quooker says that it costs just 3p per day in energy costs to run its boiling water taps on standby. If you use your kettle several times per day, this means a hot water tap is likely to be cheaper from an energy use point of view, as the cost of boiling one litre in a kettle is 2.3p. However, with the prices of boiling water taps ranging from £579 to more than £1,000, the upfront costs are so high that you don’t stand to recoup any costs over your lifetime. If you often need to boil smaller amounts, a quick and easy way to save energy is to opt for an energy-efficient kettle. The best will allow you to boil just one cups’ worth, and will switch off straight after boiling to avoid wasting energy. Look out for the energy saver logo next to models in our kettle reviews to find the best money-saving kettles we’ve tested. You might think, once you’ve splashed out for your shiny new tap, that the expensive bit is behind you, but watch out for ongoing maintenance expenses that can rack up over time. Boiling water taps need to be plumbed in, and have expensive filters that need regular replacement – in some cases every four to six months. It’s worth double-checking whether the installation fee is included in the price of your hot water tap before you buy, too. If not, you’ll have to pay extra on top of the price of the unit, or call in a plumber to set it up. Most require a filter as well, which can cost anything from £35 to £179 for the largest filter for a Grohe tap. Manufacturers recommend changing them regularly, some as often as every four months. 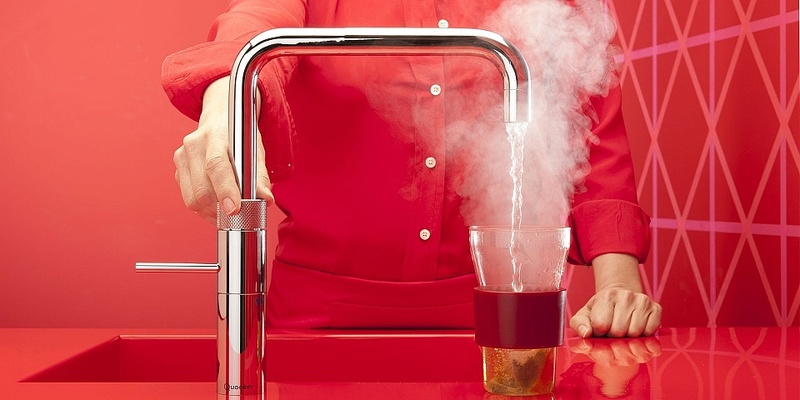 There are many reasons why you might want a boiling water tap. But don’t expect it to make you better off. If you’re not ready to say goodbye to kettles quite yet, check our top five kettles for a round up of the quickest, quietest and most efficient kettles you can buy. The fastest kettles we’ve tested will boil a litre of water in less than two and half minutes, while our slowest kettle on test takes more than five minutes to boil the same amount.